We’ve all heard the term “less is more” to describe the power of simplicity. Simple is in short supply these days, though. No wonder more and more people are coming to appreciate simplicity in those rare moments when they find it. 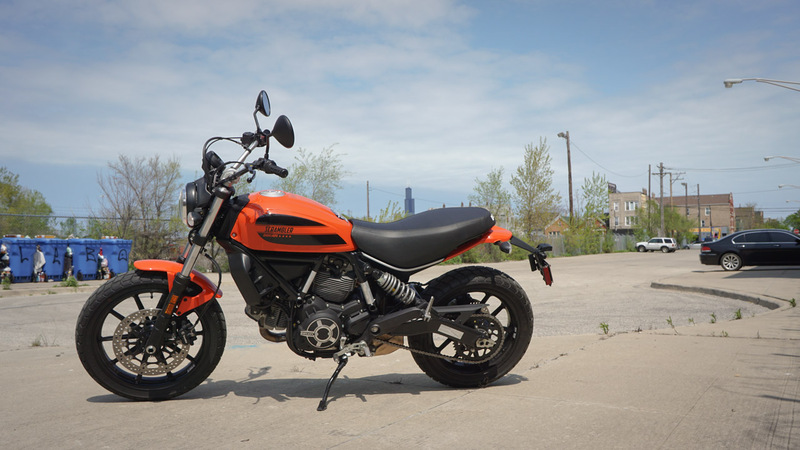 I ran into a great example of “less is more” this weekend at Motoworks Chicago in the form of the 2016 Ducati Scrambler Sixty2. 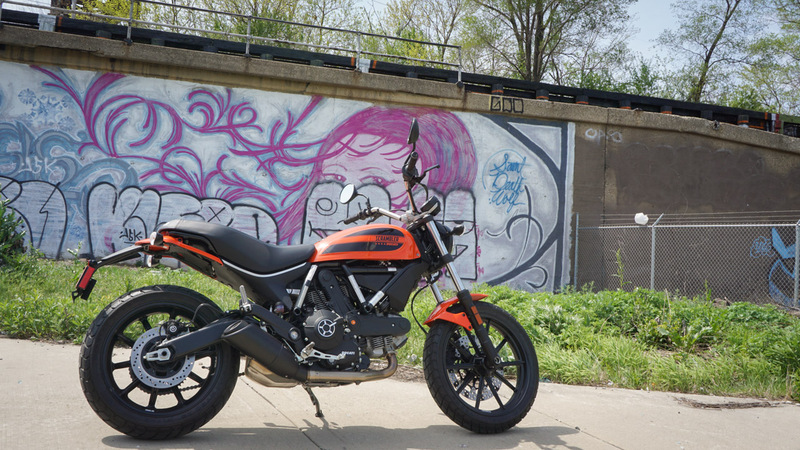 Unless you’re brand new to motorcycles, or spent last season under a rock, you know that the Ducati Scrambler was the big new bike last year, and with good reason. It was a fresh take on a classic segment, and most importantly, something very new and different from Ducati. 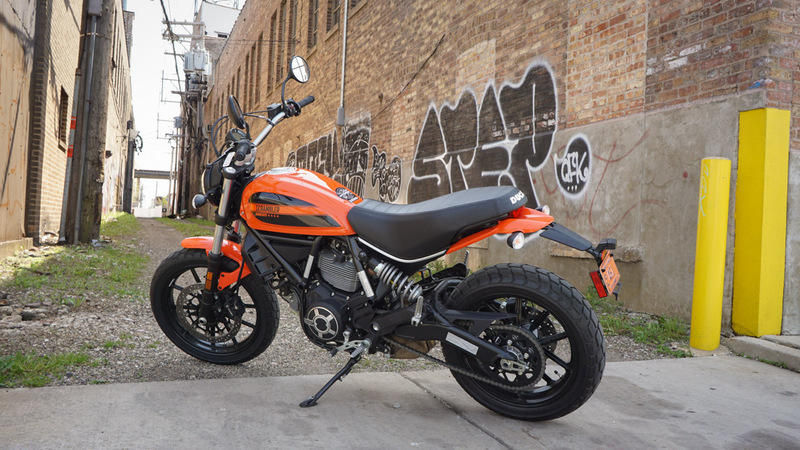 For 2016 Ducati expanded the Scrambler range to include the Scrambler Sixty2. While Ducati has all sorts of story to tell about the origins of the name, the critical thing to understand about the Sixty2 is its engine. 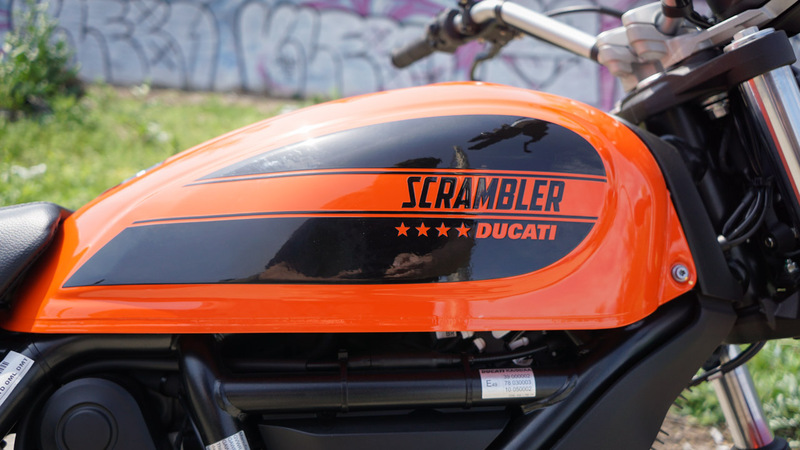 Fans had been calling for a smaller-displacement version of the Scrambler that was more beginner friendly, and the 400cc Scrambler Sixty2 is Ducati answering that call. 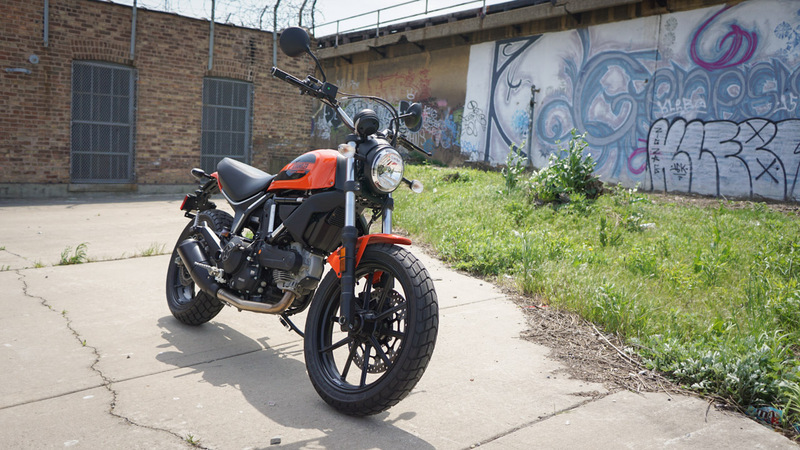 You can check out our review of the 800cc Ducati Scrambler here on BTM. Yet while the engine might be smaller, it is still mighty — making just over half as much power as its 800cc big brother. 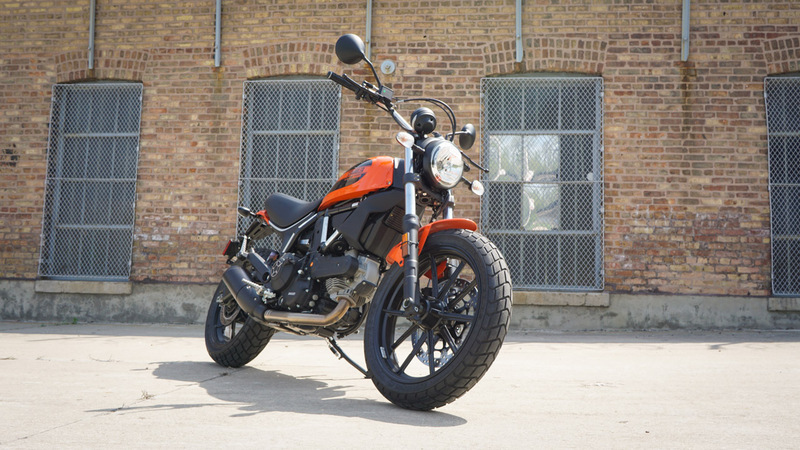 That’s 41 horsepower compared to the 75 hp in the standard Scrambler 800. 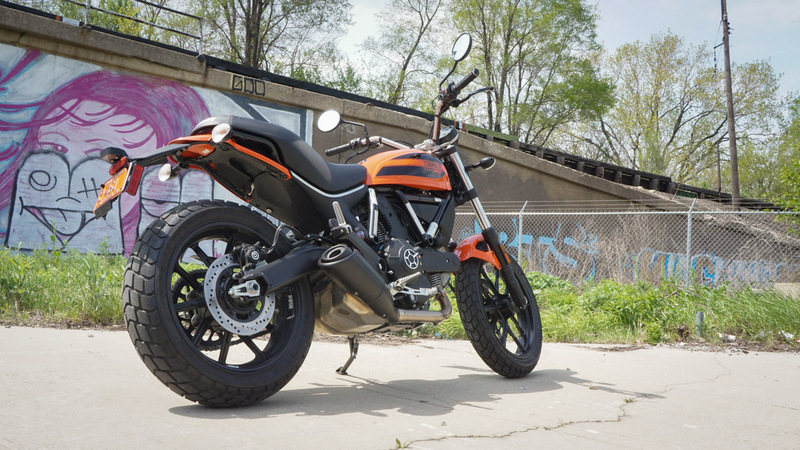 The Sixty2 has a more conventional suspension setup and a one-piece painted fuel tank, but that’s where the differences end. The two bikes share the same chassis, brakes, wheels, suspension travel, dash, and open ergonomics. 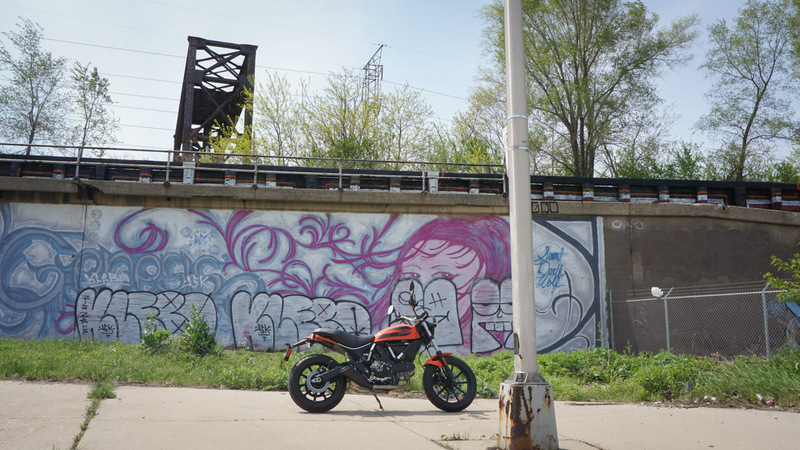 In truth, the only thing that’s “less” about the Scrambler Sixty2 is how much power it makes, and the character of how that power is delivered to the rider. 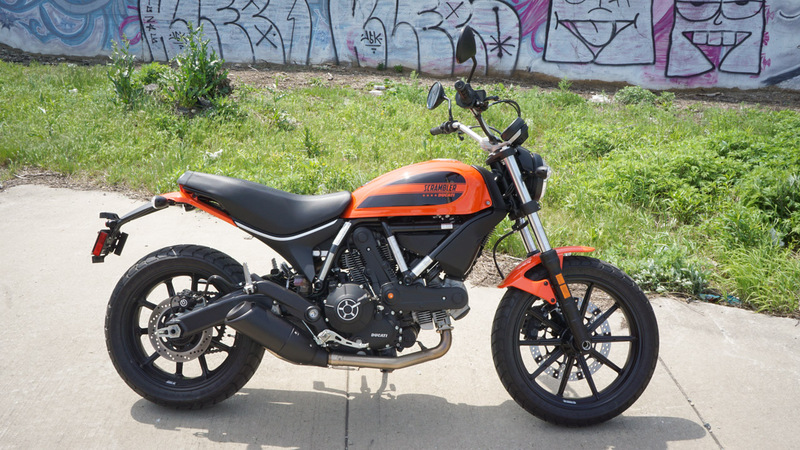 In most cases, more power is a good thing, yet for the Scrambler Sixty2, I can’t help but feel like giving the Scrambler less power actually made it a better bike. Here’s what I mean. 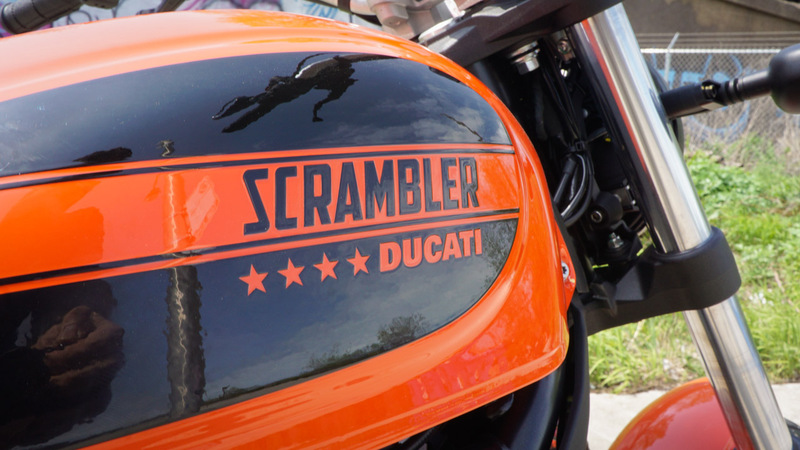 Thing is, a less-powerful Scrambler solves both of those wants. In the first respect, the 800cc Scrambler simply makes too much power (and makes it too aggressively) to be a great first bike in my opinion. It’s a blast in the hands of an experienced rider, but the learning curve would be a little intense if you ask me. I think a lot of people forget just how intimidating riding can be when you’re just starting out. In the second respect, again, less power actually makes the Scrambler more tame and easier to deal with on loose surfaces. While this is also something that more experienced riders can easily deal with, the reduced output of the Scrambler Sixty2 makes it all the easier for a less-experienced rider to get some time on the trail. 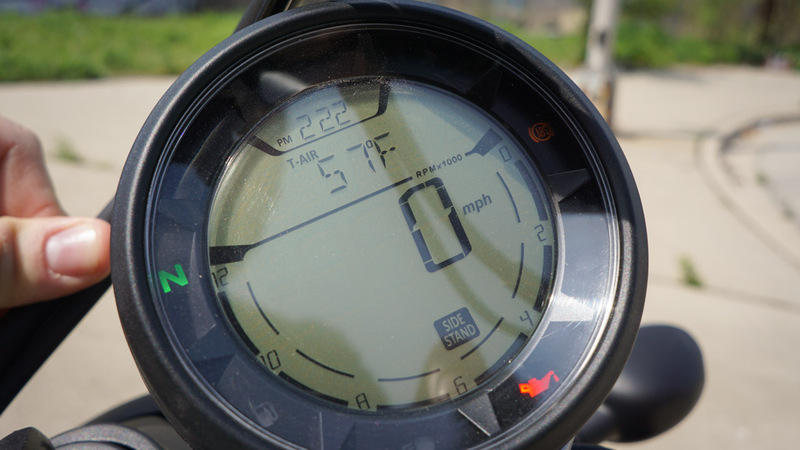 Despite less power, the bike is still remarkably lightweight for its size. 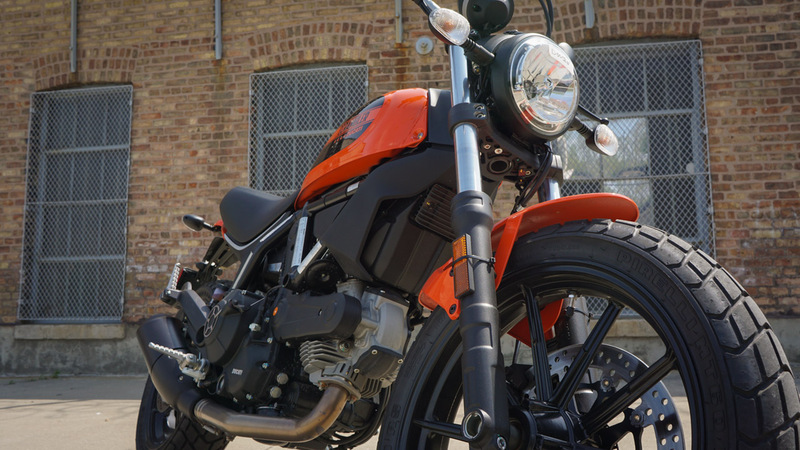 While many riders may want to graduate up to a more powerful bike down the road, the nice thing about the Scrambler Sixty2 is that they really wouldn’t have to. Wanting more is one thing, outgrowing a bike is something else entirely. I don’t think the Scrambler Sixty2 is a bike that one would outgrow anytime soon. 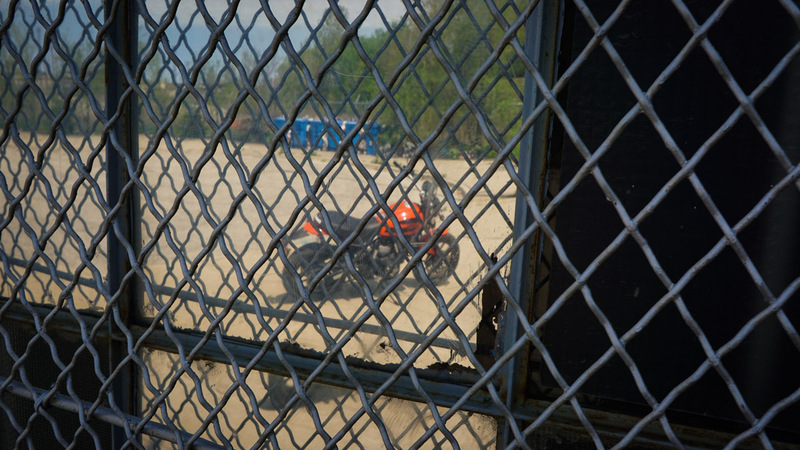 While I didn’t spend a ton of time bombing around on the Scrambler Sixty2, it didn’t take much to appreciate its more tame sensibilities. Ducati still makes plenty of bikes that are a blast to ride fast. Kudos to them for creating something that’s just as fun to ride at a more subdued pace. The bike’s more chill manners make it such a great city bike for us here in Chicago, beginner rider or not. It’ll still take on all the varied terrain and weekend adventures as its big brother, just at a more relaxed pace. 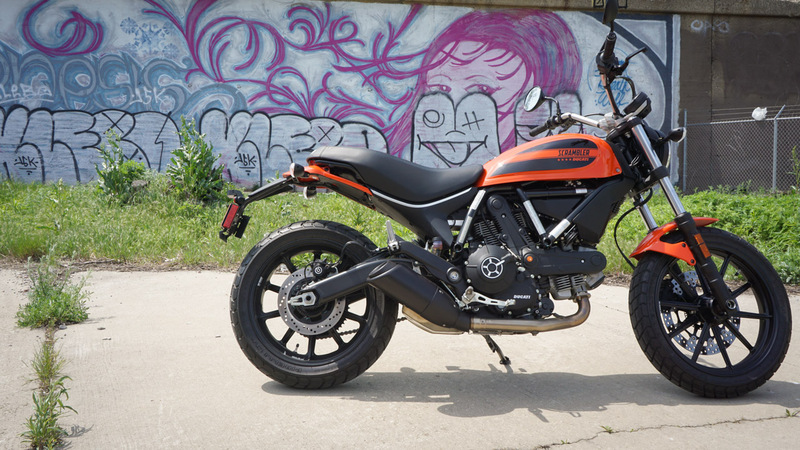 On paper, I think a lot of people will look at the Scrambler Sixty2 and think it’s less bike. Perhaps in some respects it is, but if you ask me, I’d say less is definitely more. 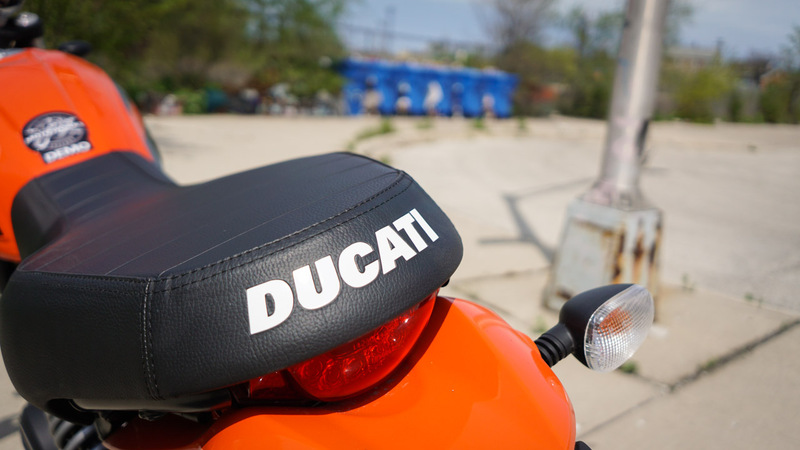 Get the wheels turning today: Schedule a test ride on a new Ducati at Motoworks Chicago.